A patent is a legal property right granted by states or governments to the owner of an invention for a specified period of time. The invention can be a product or a process that gives a new technical solution to a problem or a new method of doing things or a technical improvement on how certain objects work etc. A patent provides the right to the patent holder/ patentee or the inventor to prevent others from making, using, selling or distributing their invention. During the term of the patent, no one else will be able to make use of the invention, without obtaining the right from the patent holder. 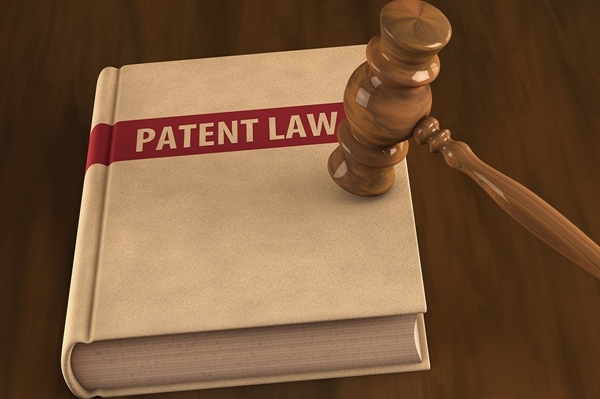 Patent law also known as patent rights is the area of law that relates to intellectual property rights and it provides protection for anyone who has created an original idea. If someone does try to use the patented idea illegally, then the patent laws specify the process of legal action that the patent holder can take against them. When a patent application is granted, the patent holder can exclude others from making, using, offering for sale or selling the invention without his permission. If a patent holder feels that their rights have been violated, then they can make use of patent law in order to enforce their rights. However, pursuing this kind of legal action can be expensive and very complicated. The patent owner needs to be able to pay for this civil legal action and advice themselves, although they may get some costs back if they win their case. Here comes the importance of hiring a Patent attorney or agent. Patent, patent laws and term of patent vary between countries. In India, the term of every patent is 20 years from the date of filing of patent application. The patentee has to renew the patent every year by paying the renewal fee, which can be paid every year or in lump sum. When the granted patent expires after 20 years, the invention will become public property and will be available for public use free from any private claim of ownership. In order to protect the patents, the patentee hires trained and experienced professionals named patent attorney/ patent agents who can provide up-to-date advice on patent laws. Patent attorneys are specialised legal professional where as Patent Agents are non-lawyer professionals registered to practice before the Indian Patent Office. After filing the application for the grant of patent, a request for examination is required to be made for examination of the application by the Indian Patent Office (IPO). After the first examination report is issued, the applicant is given an opportunity to meet the objections raised in the report. The applicant has to comply with the requirements within 12 months from the issuance of the first examination report. If the requirements of the first examination report are not complied with within the prescribed period of 12 months, then the application is treated to have been abandoned by the applicant. After the removal of objections and compliance of requirements, the patent is granted and notified in the Patent Office Journal. Patent Attorney's are experienced legal professionals who have specialized qualifications necessary for representing their clients (inventors or proprietors of inventions) in obtaining patents. The major job of a patent attorney involves dealing with various clients and helping them obtain patents, along with other legal concerns. They deal with all matters and procedures relating to patent law and practice, such as advising the clients regarding the feasibility of obtaining a patent, helping in preparing and filing patent application and representing them in the patent office for obtaining patents as well help clients with issues such as patent validity, Patent prosecution and all other patent litigation. They work to protect the rights of the inventor or patent holder in courts. Since patent attorney is considered as a techno - legal profession, besides their basic law degree these professionals should possess a background of science and technology to understand and assimilate the technology being patented. Being a patent attorney, there is no objection to practice in the courts. An advocate with membership in state bar council can practice as a Patent attorney. To become an advocate, a person should have either 5 years or 3 years bachelor's degree (LLB) in Law. Minimum qualification for 5 year LLB program is a pass in Higher Secondary Examination, and Graduation in any stream for 3 year LLB program. Most institutes/ universities select candidates on the basis of an entrance test. CLAT (Common Law Admission Test) has become one of the most competitive admission tests in India for getting admission to law colleges. Conducted annually, CLAT consists of questions from topics such as Legal Aptitude, Logical Reasoning, English including Comprehension, General Knowledge/Current Affairs, Elementary Mathematics etc. Doing specialization in intellectual patent rights/patent law is advantageous for one to flourish in their field. Patent Attorneys should have good knowledge of English language along with a strong background in science, technology or engineering stream. Patent agents are non-lawyer professionals registered to practice before the Indian Patent Office. To become a patent agent one has to pass the qualifying examination conducted by Indian Patent Office. After qualifying the examination they can register as Patent Agent and practice before the Controller General of Patents. Patent Agents prepare all documents, perform all business and discharge such other functions in connection with any proceedings before the Controller General of Patents as may be prescribed under the Patent Act. Applying for or obtaining patents in India or elsewhere. Preparing specifications or other documents for the purpose of this Act or of the patent law of any other country. Giving advice other than of a scientific or technical nature as to the validity of patents or their infringement. A patent agent does all the activities of that of a Patent Attorney except litigation. But if they are science/ technical graduates they can assist in litigation and other tasks, which involve the technical aspects related to a patent. They can also easily understand whether the invention is patentable or not, and can thus help the inventor greatly. Research, communication and written skills, analytical and interpersonal skills are the key requirements for Patent attorneys/patent agents. They should possess an eye for detail to understand all kinds of information. They should be energetic and dedicated, to work under pressure and for long hours. The patent attorney/ agents must have some technical skills in engineering, technology, physics, chemistry or biology. Creativeness is another attribute needed for these professionals for making valuable contributions to the invention, design or software. In order to progress in the profession one should provide maximum satisfaction to the clients. A well-developed reading and reporting ability is a must for all practicing patent attorneys. Aspiring patent attorneys / patent agents can start off their career as a trainee by joining a firm specializing in patent services. As a patent attorney/ patent agent, one can find opportunities in law firms as well as corporate organisations. Intellectual Property Law Firms in India dealing with matters especially in intellectual properties such as of trademark, patents, copyrights etc. employs patent attorneys/ patent agents to take care of their patent issues. Experienced persons can work as in-house consultants in various organizations or start their own office and consultancy services. Job openings are plenty in this emerging field of law but at the same time, like any other profession, it has its set of pros and cons. Stiff competition by rival lawyers could be expected as it is field that offers financial stability within a short span of time. Remuneration of a Patent Attorney or patent agent depend entirely upon their services. It also varies according to the type and field of invention. Patent attorney can earn a much higher income than a patent agent, as they are capable of protecting the patents of their clients in the court of law. They can charge fees for drafting and filing of application for the registration of patents and for any cases related to patent. In India, the basic remuneration of a trainee patent attorney range from Rs 15,000 to Rs 20,000. The pay can increase within a shot span of time, with one's performance and experience. Salary of patent agent in India varies from 3 lakh to 15 lakh per annum. There are several universities and colleges, which provide courses in patent law. NALSAR- Hyderabad and Indian Institute of Patent and Trademark Attorney (IIPTA) in Delhi and Hyderabad are the leading colleges providing quality education in patent law. IIPTA provides distance learning as well as online cloud campus study option for Patent Agent examination (cloudcampus.iipta.com). Nalsar provides one-year PG diploma course in patent law for graduate students. Several attorney firms and institutions in India have started providing training in Patent law. The Office of the Controller General of Patents, Designs & Trade Marks (CGPDTM) under the Ministry of Commerce and Industry is located at Mumbai. The Head Office of the Patent office is at Kolkata and its Branch offices are located at Chennai, New Delhi and Mumbai. The Office of The Patent Information System (PIS) is at Nagpur. Controller General of Patents, Designs & Trade Marks supervises the working of the Patents Act, 1970, as amended.